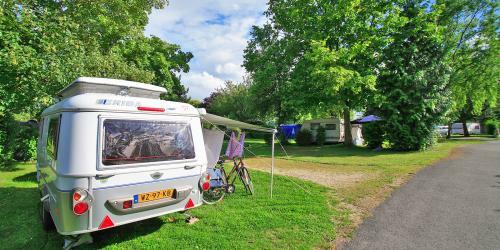 One of the charms of the La Belle Etoile campsite in Melun lies in the quiet and green park, a real garden just a few minutes by train from the center of Paris. It is in this natural environment, on the banks of the Seine, that you can stay with your caravan, your tent or your camper. The pitches of La Belle Etoile are spacious and delineated to preserve the privacy of everyone. Half shade, depending on the preferences of each, our pitches offer all the necessary comfort for the success of your holiday on the edge of the forest of Fontainebleau. All have an electrical connection of 6A and 3 perfectly maintained toilet blocks with showers, toilets, washbasins partly in cabins and washing-up room. 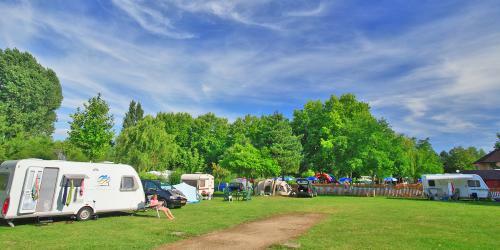 The campsite La Belle Etoile is flat and the locations are easy to reach, so they are suitable for large dimensions, whether they are campers, caravans or tents. 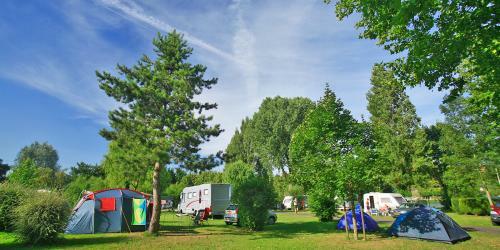 For a holiday on the outskirts of Paris in the outdoors and nature, camping La Belle Etoile is absolutely the campsite for you.